Queens University of Charlotte's Polina Lapshina and Marius Kusch lead the College Swimming and Diving Coaches Association of America (CSCAA)'s Division II All-America team. The pair were named women's and men's swimmers of the year and join 259 other swimmers and divers from forty institutions on the list. The CSCAA also selected an additional 133 student-athletes from an additional ten schools to its honorable mention team. 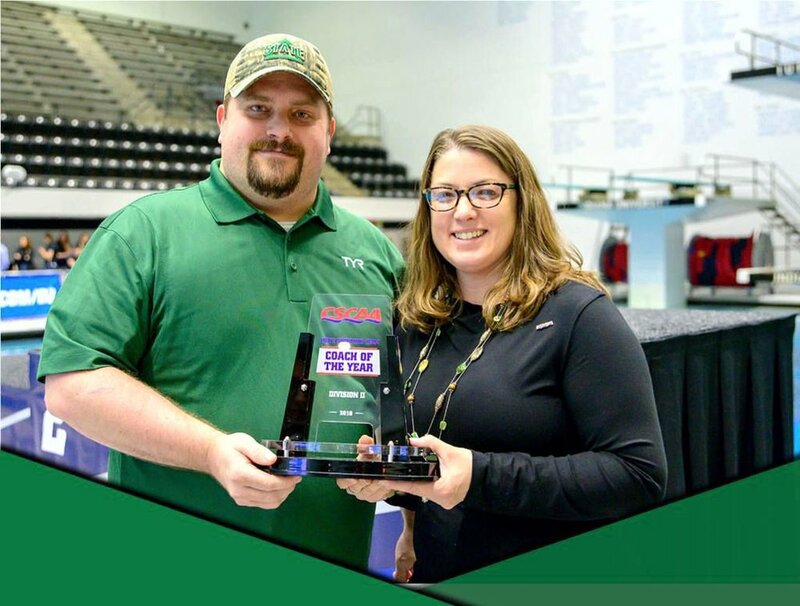 CSCAA member coaches selected Queens University of Charlotte's Jeff Dugdale was selected as men's team coach of the year for the third time and Delta State University's Dan'l Murray as men's coach of the year. Logan Persall and Ammar Haasan repeated as CSCAA Men's Diving Coach and Diver of the year while Clarion's Dave Hrovat and Christina Sather were again selected as CSCAA Women's Diving Coach and Diver of the year. All-Americans are selected on the basis of their finish at the NCAA Championships and a team's current membership with the CSCAA. Individuals and relays finishing 1-8th place are named to the first team while 9-16th place finishers are recognized as Honorable Mention. Only swimmers and divers competiting in finals are eligible for All-America Honors.